It’s finished and it’s awesome! 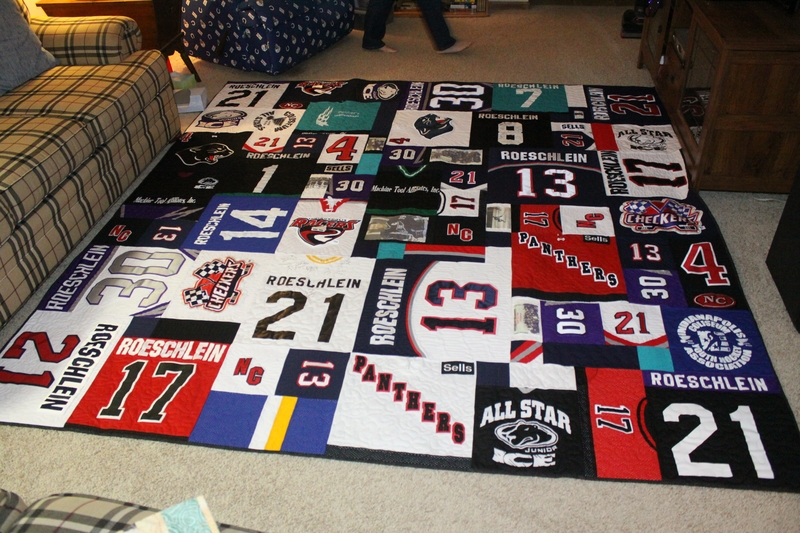 This quilt was made for my nephew, Matt, from his hockey jerseys. He’s played hockey from the youth leagues all the way through his senior year at North Central High School. My brother, Elwood, brought me 17 of Matt’s jerseys. Let me tell you that’s a lot of jerseys! He said to use them all and make it as big as possible. I did both. I used the front, back, and sleeves. Some of the youth jerseys I couldn’t use the sleeves (they were just too darn small), but some of the larger jerseys I got several blocks from the sleeves. Go figure. 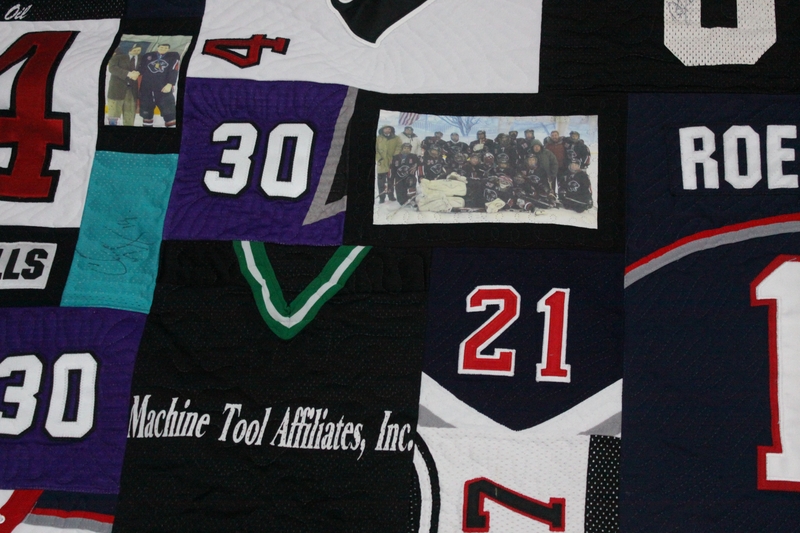 There were also six photographs transferred to fabric and included as quilt blocks. 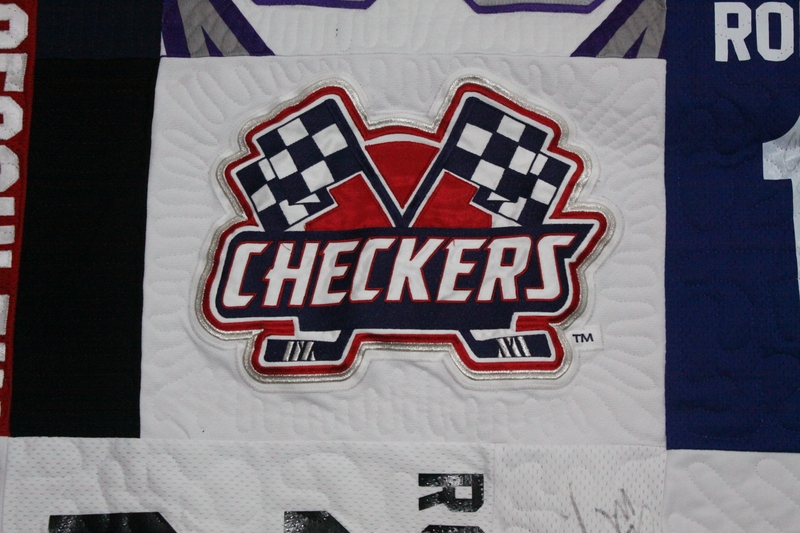 Close up of the center of the quilt. The black jersey with the green and white v-neck collar is Matt’s first jersey. Notice there is a team photo as well. Each block was individually quilted and here’s a close up of one of the blocks.